Tuner4TRONIC-Development is the perfect choice to configure LED drivers by setting individual parameters such as output current, dimming levels, constant lumen output, and operating modes. Thanks to its multi-level password system, Configuration Lock protects LED drivers against unauthorized changes while service technicians can still be granted access rights for selected features. Once the configuration has been completed, the settings are exported as an encrypted read-only production file and transmitted to the production line. Tuner4TRONIC-Production provides a multilingual user interface. Operators can conveniently load encrypted production files in order to start automatic programming for the fast mass production of LED drivers. Changes to the LED driver configuration are not possible during this stage. DALI Magic or FEIG NFC Reader serve as hardware programming interfaces for driver programming. 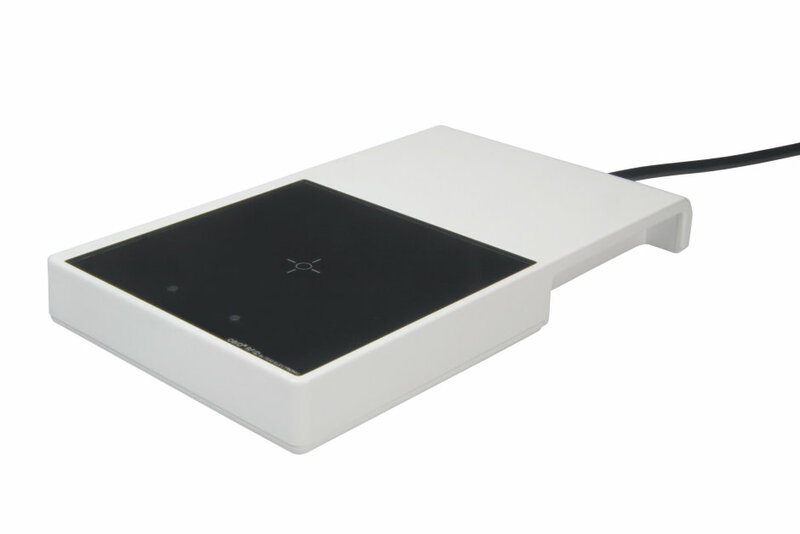 NFC Readers enable fast, cable-free working without a power supply source. Tuner4TRONIC-Machine seamlessly complements our unique software suite. Its DLL and command line tool enable integration into the existing automatic programming, as well as the testing of stations in the production line. 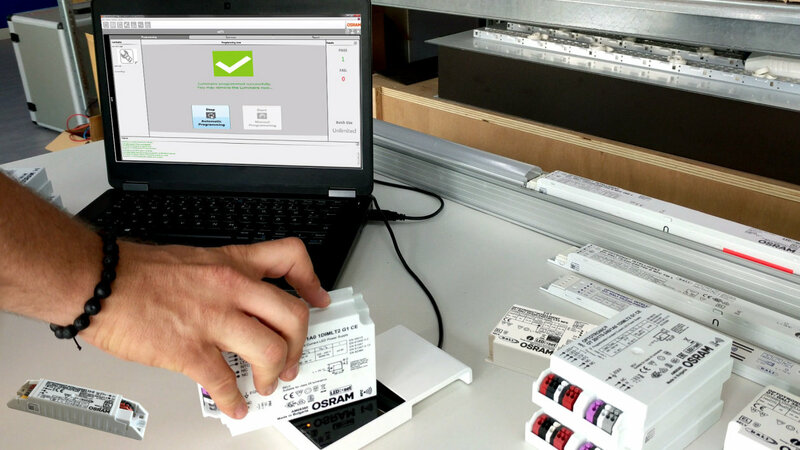 OSRAM offers custom integration into ERP systems as an add-on service to optimize the production process. Tuner4TRONIC helps luminaire manufacturers investigate and find the error source of a failed LED driver speeding up the guaranty claim process. The summary in T4T provides a complete overview of all parameters last programmed in the driver. Monitoring Data allows reading the power and energy consumption, temperature profile, operating hours, and more diagnostic parameters stored in the driver. Both functions are available using the DALI and NFC interface. Tuner4TRONIC-Field makes the installation and maintenance of street light luminaires as easy as it gets by allowing the wireless programming of OSRAM outdoor OT 1DIM and OT 4DIM NFC LED drivers and without the need for mains voltage. After entering the service password of the LED driver provided by the luminaire manufacturer, the user can adjust the luminaire settings according to the specific needs and within a predefined range set by the manufacturer. Typical examples could be the adjustment of light output or changing the dimming times or levels. 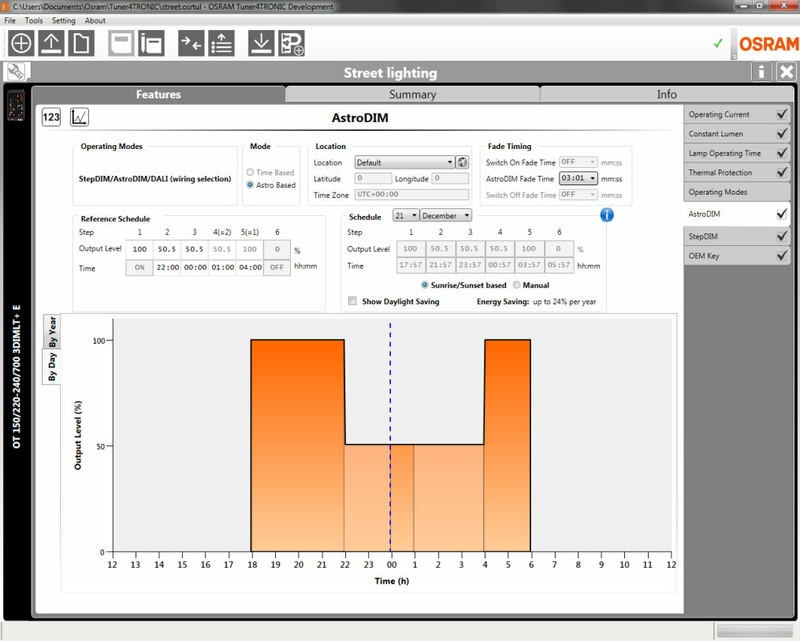 Using the copy and paste functionality of the T4T-Field app, the settings of the original luminaire can be easily transferred to the new one in a matter of seconds. 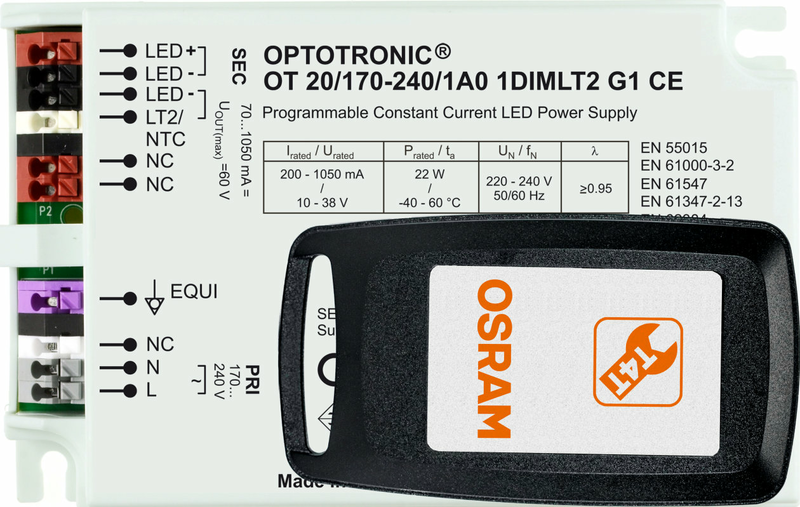 OSRAM also offers programmable UL certified LED drivers. 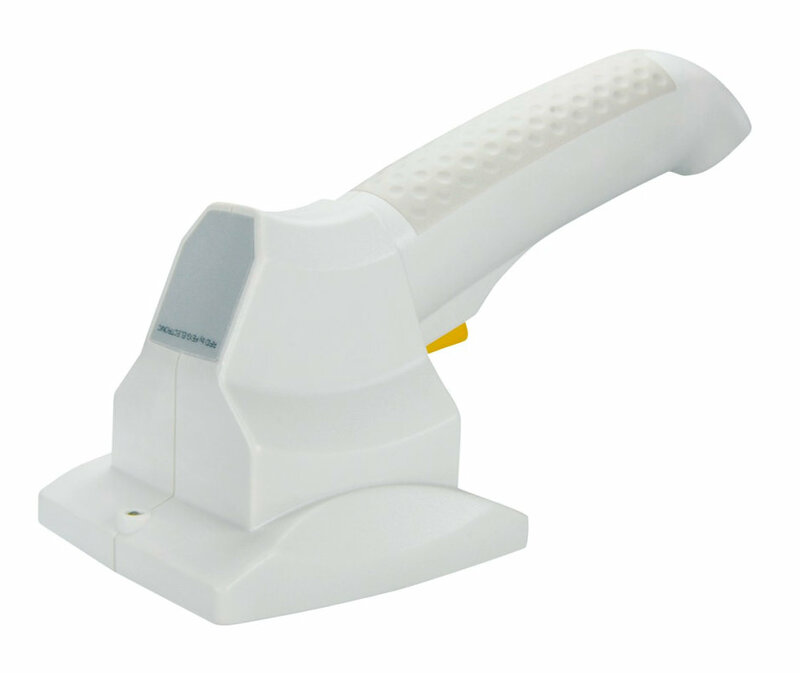 These drivers can be programmed with the OT Programmer software together with the OT Programmer programming interface.